Sara Kelly, International Relations, History. Class of 2020. I have been chosen to participate in the 2018 Global Smarts Mentorship Program with the World Affairs Council of Philadelphia. 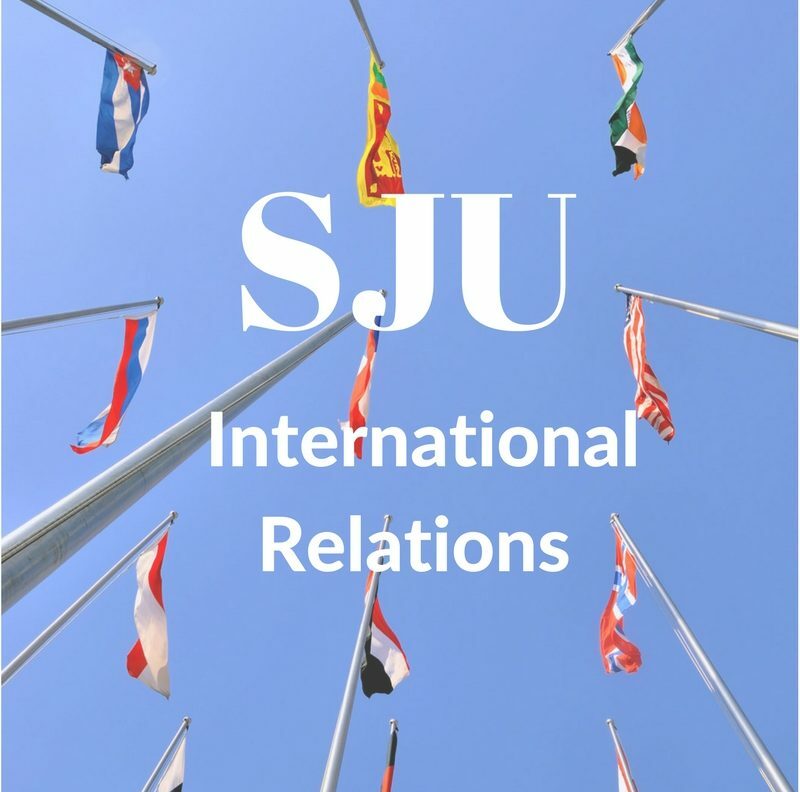 This opportunity, exclusive to Saint Joseph’s students, pulls students from all different majors to come together and teach global issues and the practices of Model United Nations to middle school students. While the bulk of participants are studying International Relations or Political Science, there are also students in our program studying other disciplines such as Economics and Theology. Myself and the other mentors are divided up into groups, and assigned a local public school. My co-mentor and I, for example, work at A.M.Y. at James Martin in Philadelphia. At our school, we lead Model UN mentorship sessions using a curriculum that highlights significant global issues with an emphasis on one country’s point of view. This year, the global risks that the program is focusing on are Food Insecurity and Women and Girls’ access to education. My students and I will be representing Albania; a seemingly unimportant country on the global stage but one that suffers immensely in regard to these issues. At the start, I was unsure of what to expect. Now, being a month into the program, I have discovered some important takeaways. Through my role as a mentor, I’ve been able to look at a different side of International Relations (IR). Instead of learning it, I’ve been able to teach it. Being able to apply fundamental IR principles to real-life situations, and share this knowledge with students much younger than myself has been incredibly unique. Participating in this program has also challenged by conception of International Relations and diplomacy. Recently, I taught a class on geography that contained concepts that I am aware of but have never had to articulate before, especially to middle schoolers. These concepts were difficult to convey. I had to explain what borders are, without being able to use the conventional jargon that we’ve been educated with as students, like sovereignty, nation, nation state, etc. Again, difficult to convey. This experience has really widened my view of IR, because a core part of diplomacy is forming interpersonal relationships and conveying issues that both parties will understand and want to work on. In Global Smarts, we get to teach kids to do this. I am very fortunate to be able to spend a little over an hour with my group of students each week. While my class is very passionate and excited, there have also been some challenges. Issues with rowdiness or focusing have both been problems, but my co-mentors and I have been able to work with or around these obstacles and be able to move through the assigned curriculum. We also spend time each week before and after our school visits discussing what worked and what did not. This has been a great way to evolve as a group and get better at teaching. Going forward, I am excited to get into the research portion of this program with my group, because they do seem so passionate. Also, from a personal standpoint, I have not learned much about Albania in the past and am looking forward to engaging with the topic.